The Truman College Automotive Technology Program aspires to be pioneers in linking the diverse students of Chicago to the national and global automotive industry and markets. We aspire to develop highly skilled, responsible, environmentally aware professionals in the automotive field. As a comprehensive, NATEF-certified automotive technology program, our propose is to provide students with the necessary educational foundation and practical experiences to pursue an entry-level career in the automotive industry. 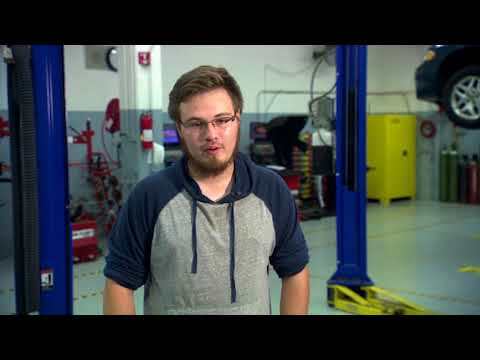 Truman's Automotive Technology Program consists of 11 courses. Eligibility for English 101 and Math 90 or 98 are required. Students who complete an AAS degree can finish their Bachelor's Degree on our campus with Southern Illinois University-Carbondale. SIU offers classes at Truman College during the weekends, allowing students in our program to continue their education here, receive their BS in Automotive Technology, and position themselves for jobs in automotive management or administration.